Robyn is co-founder and CEO of Apolitical, a global peer-to-peer platform for government, helping public servants find the ideas, experts and partners they need to solve the hardest challenges facing our societies. 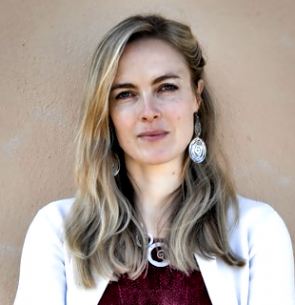 Previously, she co-founded OneLeap, an executive education company, and Mothers for All, a social enterprise which teaches income generation skills to vulnerable people in Southern Africa. She has written an acclaimed memoir about growing up in Botswana. She is an ambassador for the Access to Medicine Index, an advisor to the Responsible Mining Index, a World Economic Forum Young Global Leader and a Gates Scholar. She has a BSc in Bioinformatics from Auckland and a Masters in Bioscience Enterprise from Cambridge. In business, we’ve seen poor countries leapfrogging rich countries in mobile access, mobile payments, solar power, micro-grids and more. The same underlying principles are driving an emerging trend in policy, but smart ideas from surprising sources are still often overlooked. This talk shares what these ideas are and what we stand to learn.